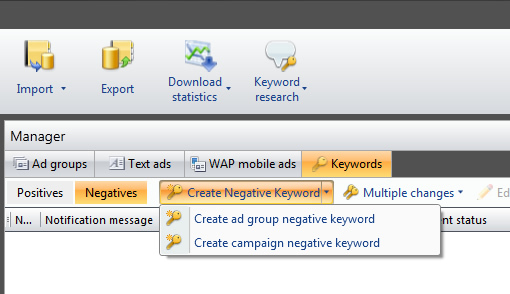 Bing Ads released sitelink extensions in October of 2012, which enables advertisers to provide additional links in their text ads. 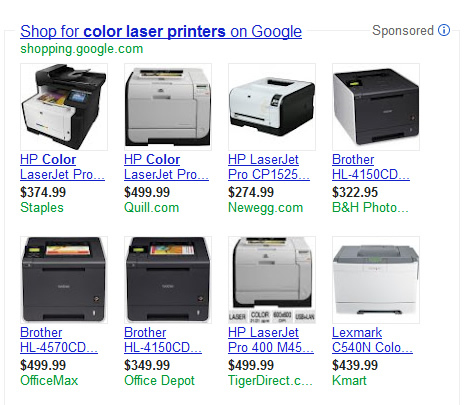 Google AdWords has had ad sitelinks for some time, so this was a great addition by our friends at Bing Ads. For example, if you were an ecommerce website selling sporting goods, you could provide ad sitelinks for your top categories, like football, baseball, basketball, etc. right beneath your standard text ad. Sitelink extensions are great usability-wise, while they also provide a nice advantage in the SERPs (since they take up more real-estate). So, let’s say you set up sitelink extensions for some of your campaigns, and you’re basking in the glory of those beautiful ads (and the click through they are getting). But, maybe your reporting isn’t lining up clicks and visits-wise. Sure, there are several reasons that could be happening, but maybe it got worse since you launched sitelink extensions. Well, the reason could very well be the lack of tagging on your ad sitelinks. If those additional URLs aren’t tagged properly, then your analytics package could very well be reporting that traffic as organic search. And that would be shame. In this post, I’m going to walk you through why this could be happening, and how to rectify the situation. After reading this post, you might just run to Bing Ads today and make changes. Let’s jump in. 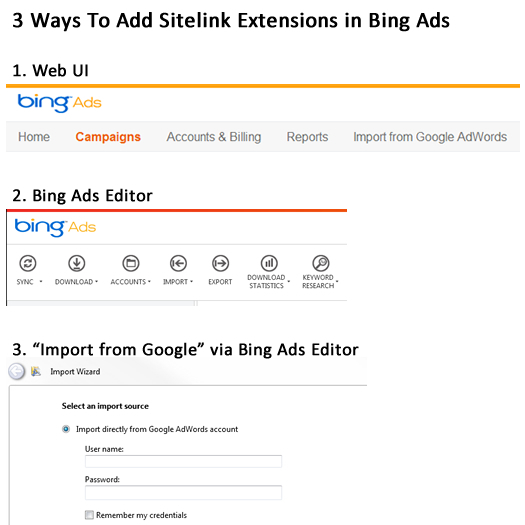 In Bing Ads, you can include sitelink extensions several ways. 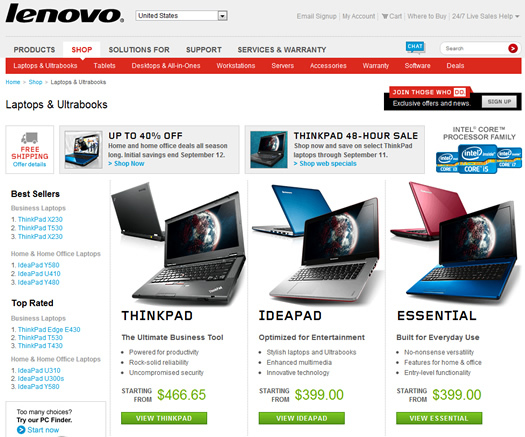 First, you can add them manually via the Bing Ads web UI. Second, you can use Bing Ads Editor to add them locally, and then upload them to your account. And third, and possibly the top reason ad sitelinks don’t get tagged, is that you can import them from AdWords via the “Import from Google” functionality. 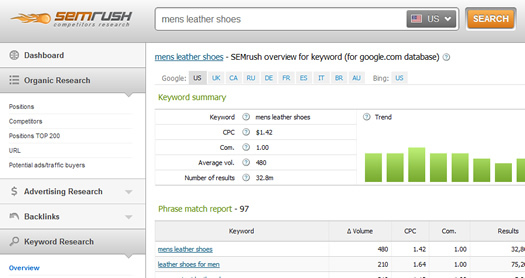 Note, the import from AdWords functionality is awesome, so don’t get me wrong. 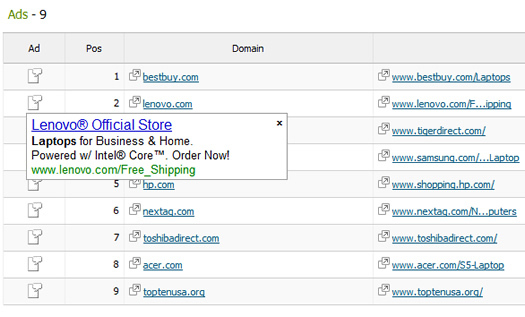 It’s just that it’s easy to import ad sitelinks and not know they are there. Then you run the risk of uploading untagged sitelink extensions. So, you need to make sure that your ad sitelinks are tagged properly, based on the analytics package you are using to track campaigns. For example, if you are using Google Analytics, then you need to make sure that you identify each click coming from your sitelink extensions. That means you should be appending tracking parameters to your sitelink URLs. For Google Anlaytics, you can use URL Builder to tag your landing page URLs. Again there are various ways to include sitelink extensions in your campaigns, from using the web UI to using Bing Ads Editor to using the “Import from Google” functionality. I’ll quickly cover each method below to make sure you know where to apply your tracking parameters. 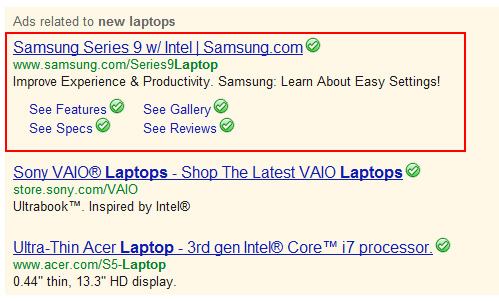 You can currently apply ad sitelinks at the campaign level in Bing Ads. 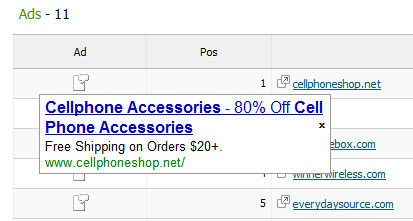 When you access a campaign, you can click the “Ad Extensions” tab to include ad sitelinks. Once there, you can click “Create” to add a new sitelink extension. 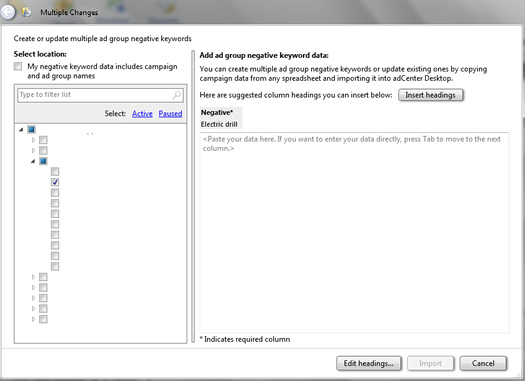 If you have other sitelink extensions set up across campaigns, you will see them listed (and you can apply those to your campaign if it makes sense). I love Bing Ads Editor. 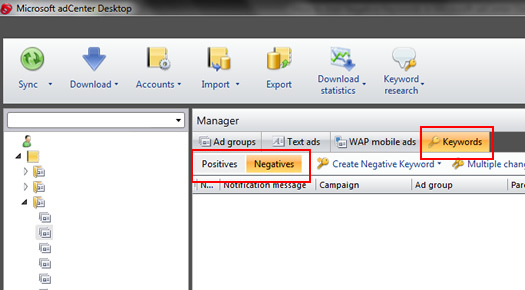 It’s an awesome way to manage your campaigns locally and then sync with the Bing Ads web UI. And as you can guess, there is functionality for adding and editing sitelink extensions in Bing Ads Editor. 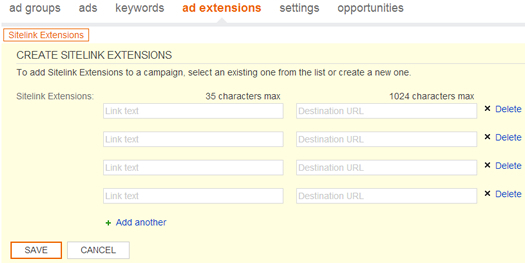 You can access your sitelink extensions by clicking the “Ad Extensions” tab for any selected campaign. Once you click the “Ad Extensions” tab, you can add sitelink extensions by clicking the “Create a Sitelink Extension” button from the top menu. Then similar to the web UI, you can add the link text and the destination URL. When adding your destination URLs, make sure your tracking parameters are added. As I explained earlier, I love having the ability to import campaigns, changes, etc. 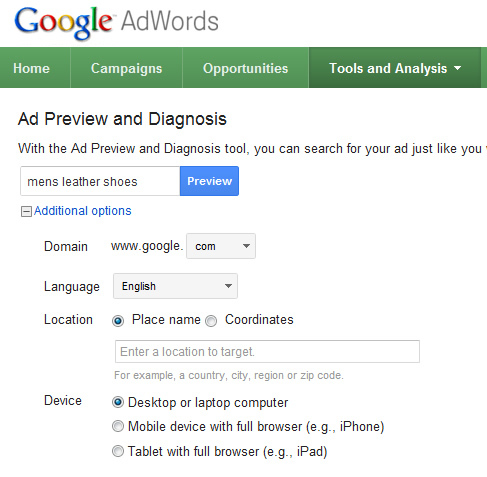 from AdWords directly into Bing Ads Editor. 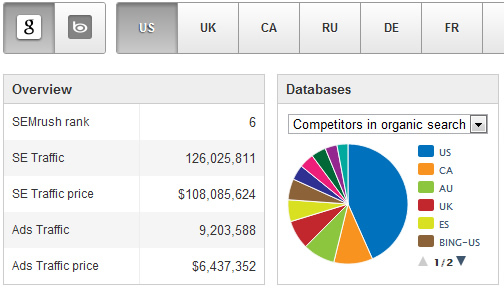 It makes managing campaigns across both platforms much more efficient. But, I’ve seen advertisers import campaigns from AdWords that have sitelink extensions, but they don’t realize it. Then they upload their campaigns to Bing Ads and don’t understand that prospective customers are clicking their sitelinks, visiting their sites, etc., but those visits aren’t being tracked correctly. 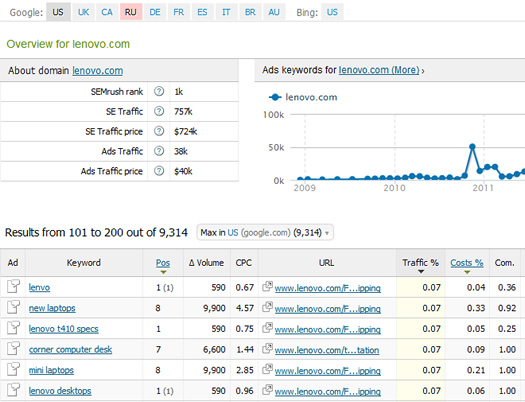 Again, those visits will show up as “Bing Organic” in your analytics reporting. When you go through the process of importing your campaigns, make sure you double check the “Ad Extensions” tab for the newly-imported campaign. You just might find sitelink extensions sitting there. And yes, they very well could be left untagged. Make sure you add your tracking parameters before uploading them to Bing Ads (from Bing Ads Editor). 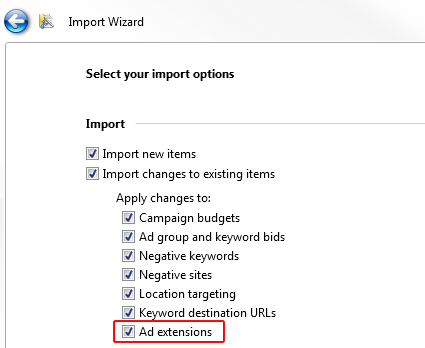 You can also uncheck the “Ad Extensions” radio button when importing your campaigns from AdWords. Then you can add your sitelink extensions directly in Bing Ads Editor (via the second method I covered earlier in this post. Sitelinks extensions are a great addition to Bing Ads, and they absolutely can yield higher click through rates. But, you need to make sure those clicks are being tracked and attributed to the right source – your Bing Ads campaigns! I recommend checking your campaigns today to make sure your sitelink extensions have the proper tracking parameters appended. If not, you can quickly refine those links to make sure all is ok. And when everything is being tracked properly, you just might see a boost in visits, orders, and revenue being attributed to Bing Ads. And that’s always a good thing.